Have you ever wondered why Reputation relies heavily on a “gold” theme? I know I have. I could always make the parallel to the gold wings Karlie sported at VSFS ’14 and the gold stickers her and Taylor wore to Drake’s birthday party in 2016, but those parallels always seemed a bit weak to me. That is until I read this submission that was sent to TTB. Most will know this, but in case some people don’t: Taylor is a Sagittarius and Karlie is a Leo. This information is important because it finally ties together why this “gold” theme is a center piece to this album. Leo’s are “King” and Taylor wrote this song on Karlie’s birthday. 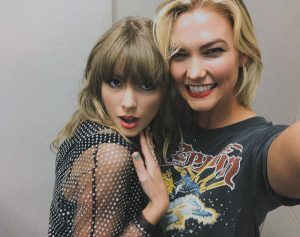 What I find the most interesting is that Taylor was seen sporting a pisces ring November 2017 (the same month Reputation came out) yet five songs (or 1/3 of the album) reflect Karlie’s horoscope… Not his. If Taylor was actually with Joe, wouldn’t she be referencing a pisces?? Not her friend that she’s totally, definitely not dating? 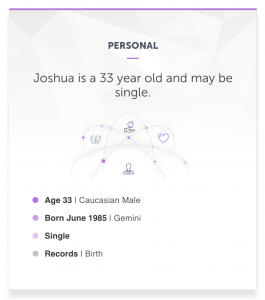 Compilation of posts showing Taylor wants fans to figure out her “relationship” with Joe is fake. Taylor had been pushing during her Secret Sessions before the album dropped that the new album was about Joe. However, the closer people looked, the more inconsistencies they found. This post sums up a lot of what is written below. 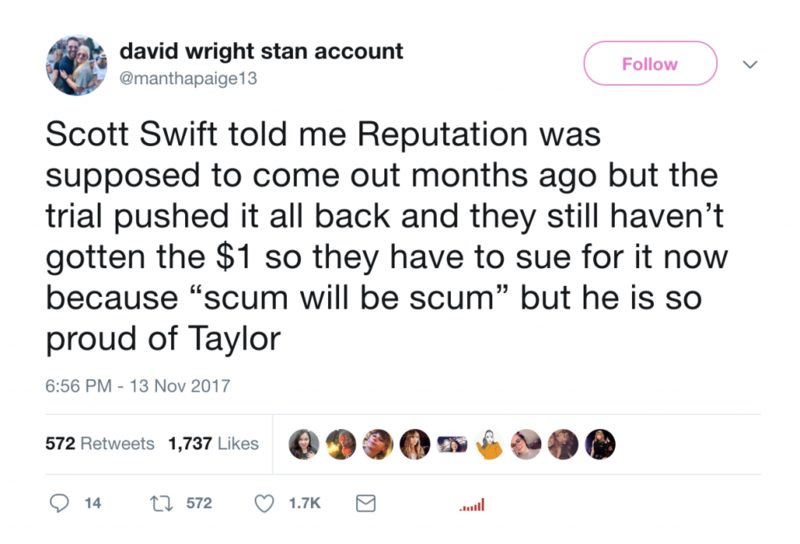 When registering the copyrights for the songs on Reputation, Taylor & Co. listed all the creation dates as 2017, most likely to persuade fans into believing they were written about Joe. This is inaccurate given the fact we know songs were written in 2015 and 2016, and most likely 2014 as well. How can a person have a ‘big reputation’ if literally nobody knows who you are?? This is also a song about someone Taylor wants to be with for the long haul. How could she have written that about a “boyfriend” she barely knew at the time? Again, another song about a long term relationship. Why would she have to fall from grace just to touch some white boys’ face? Why is she having to hide her obsession? Doesn’t make sense if she’s talking about a het relationship. The bridge of this song talks about giving and receiving (sexually) multiple times, which… isn’t really possible when it comes to men. However, it is with women. On top of that, the album was supposed to come out earlier than it had so writing and recording in 2017 would have been virtually impossible. I would bet money that the album was finished being mixed and mastered by Spring of 2017, or maybe even sooner. I also wrote a post up when Reputation initially came out about how it doesn’t make logical sense that she could have written an album like Reputation when she had only been “dating” Joe for maybe a few months.